The benefit of virtual reality (VR) has gone beyond being merely for purely entertainment purposes to becoming a potential tool in improving literacy. The University of Otago, in New Zealand, is behind the ground-breaking approach as it is working with the Methodist Mission Southern to look at a different method of helping prisoners in the Otago Corrections Facility at Milburn. The University’s Information Science Department is using VR to improve on the reading and writing skills of the prisoners, according to a recent report. VR uses computer technology in order to create a simulated environment. Instead of viewing a screen in front of them, users are immersed inside an experience and able to interact with three-dimensional worlds. The Department has been investigating functional uses of both virtual and augmented reality over the last decade, hoping to find more meaningful ways for computing to solve real world problems. Meanwhile, the social agency has been looking for a way in which literacy will be taught to people who are in prison. 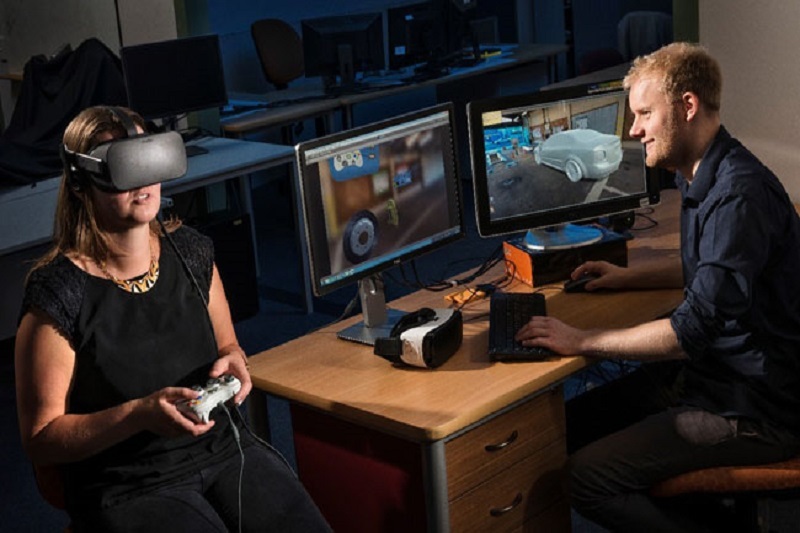 The answer came in the form of a prototype virtual reality application, which uses a setting that is both familiar and motivating to the learner, a simulated car workshop. The prototype is a 360-degree virtual world programme that involves car assembly in an automotive workshop. Consultation with an actual automotive repair business was made to make sure the virtual world represents a realistic environment. Both groups worked together to integrate education content while local company, Animated Research Limited, provided assistance with the panoramic environment. The Dunedin City Council has recognised its potential, providing some of the funding needed for the project through the GigCity Community Fund. The Fund was set up to develop community, learning and workforce opportunities in Dunedin. It has been understood that in order to learn another language, one should be immersed in it, whether in a real-world context or through the use of VR technology. Testing the idea that learning to read can also be achieved through virtual reality immersion in a specific setting targeted at a particular user group is a good experience. Using relevant environment can actually help learning and improve literacy skills for the prisoners, thereby contributing to their rehabilitation and integration into the community. The University is now keener on extending the boundaries of virtual reality in order for them to better understand interface development. In proving the feasibility of using VR in this manner now opens up new possibilities for research. It is expected that there will be significant international interest in virtual reality contextualised learning. This immersion technology has the potential to revolutionise learning. It is hoped that eventually this programme will be used in literacy and numeracy education with prisoners inside prisons across New Zealand.